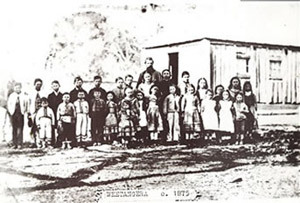 The history of Weetangera Primary goes back to 1875 when the first school was built. The first school was located about 1km away from the current school and straight away had 27 students enrolled. The average attendance at one given time was 15 students. The first teacher at the school was Ewan Cameron (pictured below). 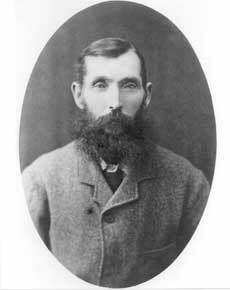 He taught at Weetangera from 1875 - 1884. The current Weetangera Primary School opened in 1973 with an initial enrolment of 384 students. It was one of the first two 'Open Plan' schools to be built in the ACT, and thus the subject of great interest and much debate, as new parents were skeptical of this new educational innovation. While the entire school was housed in one building, three or four classes worked together in each of the four open Units. The first Principal was Mr. Terry Blythe and the Assistant Principals were Mr. Don Griffiths and Mrs. Kaye Dunne. During the first year student numbers grew to 551 and a new Unit and demountable classrooms were quickly added. The book 'Spilt Milk' a comprehensive history of Weetangera Primary School, written by former principal, Ms Margaret Clough can be purchased from the front office.